Canberra may be the national capital of Australia and the hub for the country’s political decision makers, but it was the second last capital city in Australia to receive television. Almost six years after television made its official debut in Sydney and Melbourne, television came to Canberra on 2 June 1962 with the official launch of CTC7. The channel had been five years in the making – starting in 1957 when The Canberra Times and radio station 2CA agreed to sponsor an application for a commercial television licence in the national capital. In 1958, Canberra Television Limited was incorporated with a capital of £300,000. 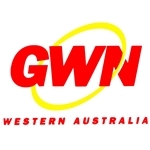 The company was granted the licence for Canberra’s first, and then only, commercial television channel in November 1960. The new channel – CTC7 – was to broadcast from studios located on Black Mountain. Construction of the studio premises and transmission tower was completed in little over six months at a cost of just under £78,000. The studios were equipped with two state-of-the-art Image Orthicon cameras worth £8000 each. Test programs were being broadcast from April 1962 with the official opening by Postmaster-General Mr C. W. Davidson on Saturday, 2 June 1962 at 7.00pm. Source: The Canberra Times, 2 June 1962. The new channel launched with a schedule of around 30 hours of programming each week. CTC7 has had a number of different owners over the years, including Fairfax, Kerry Stokes and Charles Curran. In 1994 it was bought by Southern Cross Broadcasting – now Southern Cross Austereo. 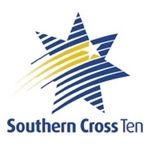 Just as it had a number of owners, CTC has also had many different identities on-air – including CTCTV, Super 7, Capital 7, Capital Television, Capital 10 TV Australia, Ten Capital and now Southern Cross Ten. Some of the presenters to have appeared from CTC over the years have included Karen Barlin, Frank Jones, Laurie Wilson, John Bok, Geoff Hiscock, Christine Kininmonth, Mal Grieve, Greg Robson, Sonja Allitt, Peter Chapman, Rosemary Church and Mike Larkan. 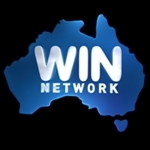 The arrival of aggregation in March 1989 saw Capital align to the Ten Network for programming and expand its signal into the Wollongong/Illawarra and central western regions of NSW, while the Prime and WIN networks from those areas expanded into the Canberra market to represent the Seven and Nine networks. Capital continued to produce a nightly local and national news bulletin for the Canberra market until owners Southern Cross Broadcasting axed a number of local news services across its wider network at the end of 2001. The actions of Southern Cross and rival network Prime, which had also axed a number of regional news services at around the same time, led to the then Australian Broadcasting Authority set up an investigation into the adequacy of local news coverage in regional areas. The outcome was the adoption of a points-based system which obliged regional operators to meet a required quota of local news in individual markets – although networks like Southern Cross and Prime are meeting their obligations in most markets with a scattering of two-minute local news updates throughout the day in individual markets, mostly produced from centralised facilities. The Canberra studios of Southern Cross Ten, based in the suburb of Watson since the 1970s, now serve as the master control for much of the wider Southern Cross Austereo television network – including Southern Cross Ten in Queensland, New South Wales/ACT, Victoria and South Australia, and Southern Cross Television in Tasmania, Darwin and central Australia – and the regional co-ordination of the networks’ digital multi-channels. Next week, just days after the 50th anniversary of the launch of CTC7, all local analogue transmissions in Canberra and the Southern NSW market will be switched off.